Animal Friends: Celebrate Adopt a Senior Pet Month with Animal Friends! Celebrate Adopt a Senior Pet Month with Animal Friends! As I tried to relax and drink my coffee Monday morning, sitting in my favorite chair, I was hit with a Pug bomb and spilled my coffee everywhere. The Pug bomb was launched by my German Shepherd, 9 year old Georgie, who had decided to chase the Pug back and forth through the house. “Oh Georgie,” I said, “Will you never grow up and stop being a puppy?” Georgie had a rough first year of life and never got to be a puppy when she should have, so this behavior started a few months after we adopted her 8 years ago, and hasn’t slowed down. Age, after all, is just a number. November is Adopt a Senior Pet Month. At Animal Friends, we define a dog as a Senior at age 5, a cat at age 6, and a rabbit at age 5. Once an animal reaches this age, they become a part of our Red Collar Society. I wonder if Brooklyn, our spunky Pittie, would consider herself a Senior? Does handsome 8 year old Flame the kitty know that he should start looking for the Early Bird Special? Is Farfell the bunny considering retirement? No! These wonderful animals are adults who love life and have so much love to give. Are they less active than 6 month old puppies? Thankfully, yes, but they are far from sedentary. 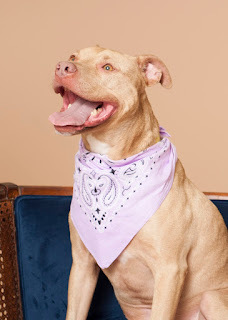 They have the maturity to be trained to be sidekicks for their humans and will make wonderful pets for people who are willing to give them a chance. Having grown up with a grandmother who lived to be a healthy 103 and was so active that she achieved her goal of visiting her cousins in Ireland at age 94, I guess I have a skewed sense of what age means. I grew up with 2 cats who lived well into their late teens and were spunky and active all of their lives. If we work to stay healthy and active ourselves and to also keep our pets healthy and active, age is of no consequence. Now that two of the loves of my life, Georgie and her sister Gracie, are 9, I plan to take them to the vet for check ups religiously every 6 months, feed them well, keep them active and thin and enjoy their energetic and loving company for years to come. But if it’s not as many years as I’d like (forever), I will always appreciate the wonderful time we have together and know that I have learned and grown from having them in my life. So in honor of Adopt a Senior Pet Month, please browse our available pets and consider the wonderful personalities and ignore that number. I adopted one of my babies when she was a "senior" (5 years old)...that was in 2003 and she's still going strong. I love her so much and couldn't imagine life without her!